Caption: Celebrating 25 Years: 1990 to 2015 – Americans with Disabilities Act. 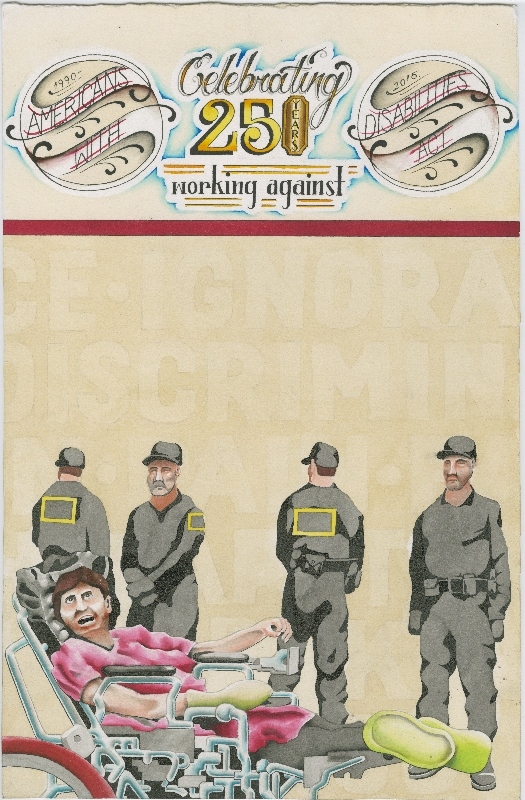 Working against: “Ignorance”, “Discrimination”, “Pain.” An individual in a wheelchair in front of a line of uniformed guards. These pieces were created to commemorate the 25th Anniversary of the passing of the Americans with Disabilities Act, and also to bring awareness to the discrimination that continues to confront people with disabilities.